HISPASAT has now completed the re-orbiting operations of the Hispasat 1C satellite (subsequently called 30W-3 and 84W-1, the two orbital positions where it was located) — these operations, which began on May 29 after the transmission of the final command from HISPASAT's satellite control center in Arganda del Rey, takes place after effectively providing communication services for 17 years, two more than the initially expected lifetime. The Hispasat 1C satellite was launched on February 3, 2000, from Cape Canaveral, Florida, aboard an ILS Atlas IIAS rocket. 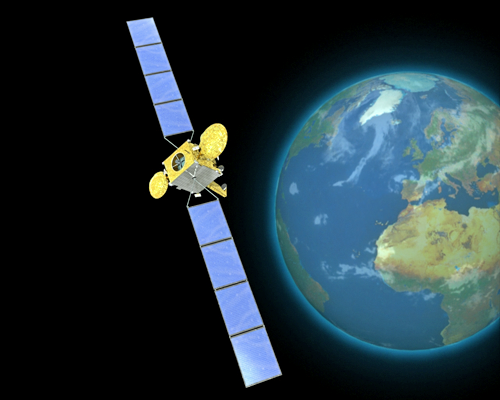 Built by Thales Alenia Space, Hispasat 1C was located at the 30° West orbital position (Hispasat 30W-3). With this satellite, in 2003, HISPASAT began marketing its broadband services in Latin America, which were accessed by more than 20 of the operator’s clients in the region. Artistic rendition of the Hispasat 1C satellite. Furthermore, the capacity of Hispasat 1C was also used for distance education, such as in the Uruguay’s Plan Ceibal project or the Subtel Program in Chile, for the MEDNET project for telemedicine in Peru, to connect remote areas of Antarctica in Argentina, and to develop energy, livestock and fishing industries in different areas of the region. The satellite, based on the Spacebus B2 platform, had 24 transponders on the Ku-band and its main services included broadcasting television channels both in Europe and in the Americas as well as providing other telecommunications solutions, such as corporate networks and broadband applications. Throughout its lifetime, Hispasat 1C completed 22,850 transmissions, more than 1,200 ground controlled maneuvers and was witness to 1,544 eclipses of the Earth and 36 of the moon. In 2014, after an agreement was reached between HISPASAT and Star One, the satellite was moved to the 84° West position and was renamed Hispasat 84W-1. From this position over Brazil, the satellite continued to provide service to Latin America, mainly Internet access and IP communications. Bertrand Maureau, VP, Telecommunications at Thales Alenia Space, noted that the satellite’s operational lifetime surpassed the company's contractual commitment, clearly reflecting the reliability that characterizes the Thales Alenia Space' Spacebus satellites fleet. The company formed close ties with Spanish industry to conduct the Hispasat 1C program, including companies such as CASA, GMV, Indra, Mier, RYMSA, SENER and Thales Alenia Space in Spain. Thales Alenia Space was able to provide guaranteed services for 17 years and this maneuver marks the end of the satellite's journey from 84° West, at 36,000 km to 36,300 km, where it has been placed in the"graveyard orbit," as established by the recommendations of the International Telecommunication Union (ITU) and the Inter-Agency Space Debris Coordination Committee regarding the proper maintenance of a geostationary orbit when a satellite reaches the end of its lifetime.